When parents actively help their child explore their interests and delve deeply into their passions, everyone in the family ends up having a rewarding summer. Whether the passion is marine biology or engineering, art or writing, programs can be found or designed to address every child’s interests. For the parent whose child happens to be interested in something offered at a nearby summer camp, this can be easy to arrange. For the parent who lives far from such resources or for whom high program fees are prohibitive, or whose child has unusual interests, planning a summer of enrichment can be a bit more challenging. It is my view, though, that parents can give no greater gift than helping their child design and implement a summer of exploring their genuine interests, utilizing talents, accomplishing something of value, and building self-esteem. The benefits for children of a summer engaged in enrichment in their interests are manifold: intellectual stimulation, increased motivation to achieve, enhanced marketability to colleges, the chance of finding passions or a future career, validation of self, increased self-esteem, increased happiness, and social connectedness. Intellectually, students who work on something they are interested in at their pace of learning are stimulated at a level rarely possible during the school year. The opportunity to study something of intrinsic interest and challenge is the most thrilling intellectual experience possible. Kindling an intrinsic motivation can even lead to a transfer of motivation and stronger desire to achieve throughout the school year. Students can build a résumé showing the pursuit of interests and achievement, positioning the student well for college applications. Selective colleges are far more interested in applicants who have pursued their genuine interests over the years than in those who engage only in what is required and valued at school. Children may find their true calling in life by exploring their interests. But perhaps the greatest benefit of an enrichment-focused summer is in the emotional area. By valuing our child’s interests, we show that we truly care about them for who they are, not who we think they should be. By taking their interests seriously, we validate their unique sense of self. Knowing that they have their parents’ support can give students a sense of security and help them become the person they really want to be. Furthermore, children who spend their summers pursuing personally meaningful goals are happier than children who just “hang out.” Children who pursue their interests during the summer often come into frequent contact with peers or mentors in their interest area. Relationships with others who share their interests can be deeply fulfilling in a way that interactions with school-year classmates and video-game buddies are not. Summer is upon us. How can parents design an enrichment-focused summer for their child? Begin with an assessment of your child’s genuine interests. In a non-judgmental way, directly ask what they want to learn more about, from anthropology to zoology, archery to yoga, animation to film making. Making a broad list of different kinds of hobbies and fields of interest and discussing them with your child can be helpful. Reflect on how your child chooses to spend his or her free time, the books that absorb their interest, the kinds of exhibits that engage them in museums, and any other clues to what intrigues them. Even interests that on the surface don’t appear to lend themselves to productive enrichment can be turned in interesting directions. For example, if your daughter spends most of her free time on the phone with friends in conversations about their social relationships, recognize that this could be a clue that she may be good at and interested in helping people solve problems. Consider exposing her to psychology. Once parents have a better understanding of their child’s interests, what next? Embrace them. Don’t try to influence your child into pursuing something you consider to be more impressive, or something that you wish you could have done, but didn’t. Remember, it’s your child’s life, not yours. 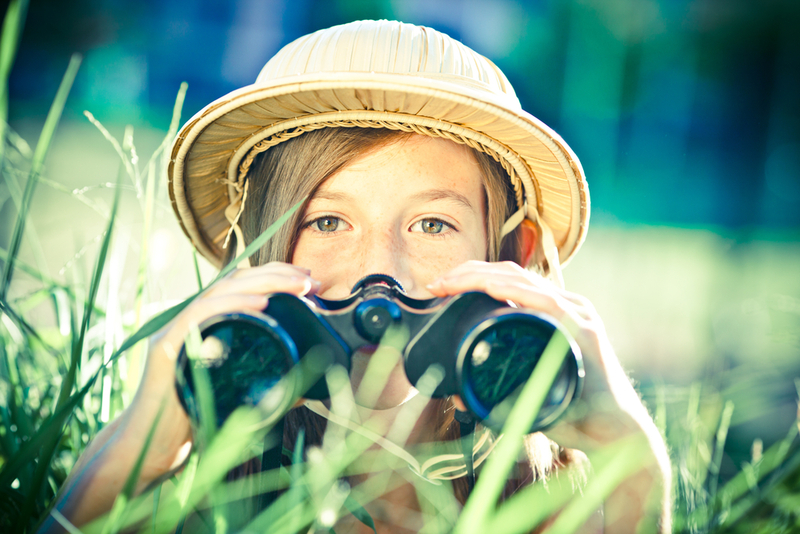 Search for opportunities for your child to delve deeply into exploring their interests. Discourage your child from following friends to a camp that may interest the friends, but might not be a good fit for your child. Don’t limit yourself to organized programs (although there are many terrific ones). Sometimes the best opportunities are the ones that the two of you initiate together. Don’t be shy about asking experts for their advice. Most experts who have a consuming interest in something are flattered when they’re approached by a parent with a child who’s intrigued by it. I know of children who interned with a scientist and co-published articles in journals by the time they were out of middle school. Professional musicians can often recommend teachers, competitions, and music schools. Doctors, lawyers, and other professionals might allow your child to “job shadow” for a day. Plan family vacations and day outings around your child’s interests. Paleontology fits with a trip to the Southwest to volunteer on a dinosaur dig. Engineering fits with outings to science museums and factory tours. Law fits with visits to courtrooms or state or federal legislatures. Find books and do internet searches to learn more about your child’s interests. Discover topic-specific magazines, websites, podcasts, and YouTubes. Find out about lectures, conferences, webinars, and other special events. Learn about local special interest clubs and organizations. Most communities have star watching groups, book groups, birding clubs, speech-making clubs, and other groups that offer events and information. Be involved. Don’t just sign your child up. Accompany him or her to events. Help him practice his musical instrument. Read the books he or she is reading and discuss them over dinner. Studies repeatedly show that parental involvement is essential if children are to fully develop their potential. If you follow this “prescription” for the perfect summer, your child will begin the school year with renewed energy, enthusiasm for learning, and one step closer to achieving the joy of true fulfillment. And you’ll have quite an interesting ride along the way! Note: This article is an update of one I published in 2012 on the SENG (Social and Emotional Needs of the Gifted) website: www.seng.org.